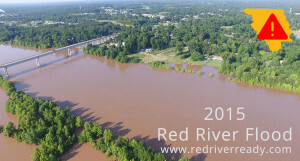 The Red River Parish Office of Homeland Security and Emergency Preparedness is conducting a Damage Assessment of the 2015 Red River Flood. If you were impacted a result of the flood, please contact our office via this website form, email or phone. Did you have any damage to your Primary dwelling? If so, how many feet or inches of water was inside the dwelling? Did you have Damage to Farm Equipment? If so, was it a total loss or repairable? Did you have damage to land – timber, crop, recreational? How many acres?